The CoDyCo project is a four-years long project and starts in March 2013. 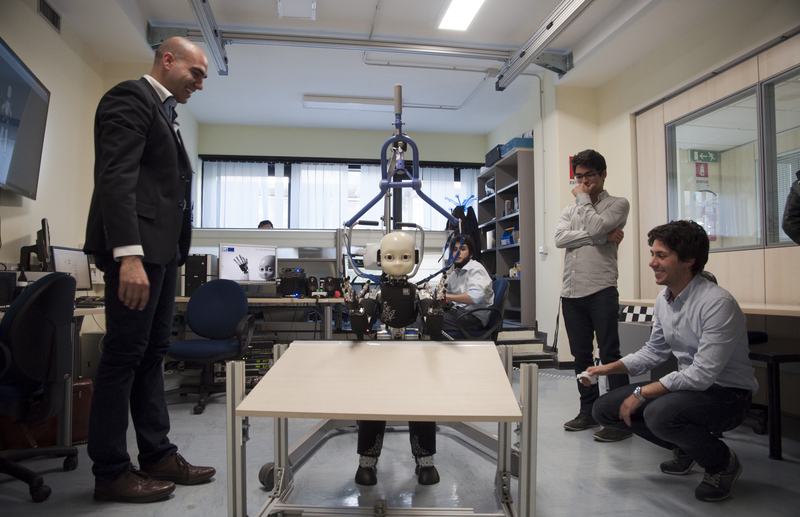 At the end of each year a scenario will be used to validate on the iCub the theoretical advances of the project. At the first year review meeting the iCub successfully performed a balancing task with four contact points: feet and arms. This is an image of the Y1 validation scenario. The control strategy was an implementation of the theoretical results presented by Del Prete et al. at IROS2014 "Partial Force Control of Constrained Floating-Base Robots".